Trees that flourish in the valleys cling precariously to life in the higher elevations, continually challenged by temperature extremes, heavy precipitation and howling winds. These stunted, gnarled specimens are rather typical of the region around Logan Pass. 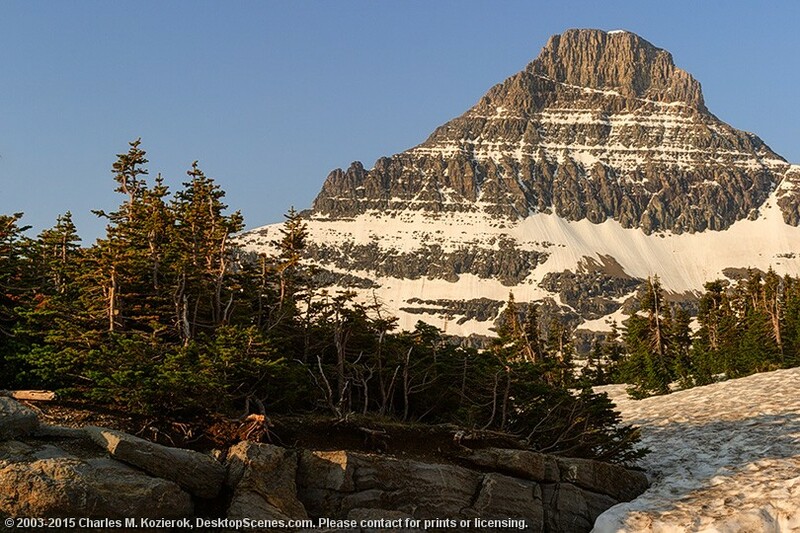 In the distance rises Reynolds Mountain, one of the better-known landmarks of Glacier National Park.